Tildy's Daniel was white male whose sire was Big Hoss. 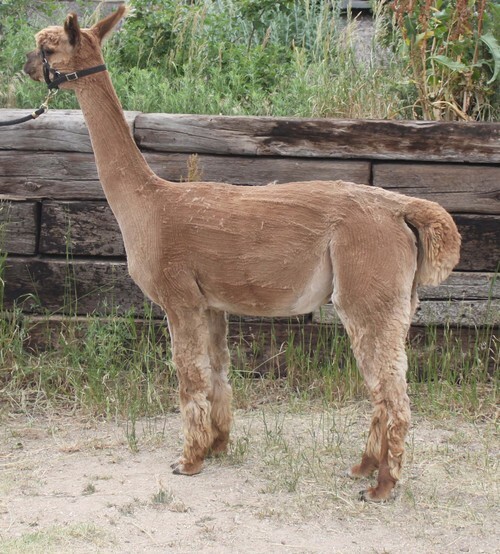 We used him sparingly, though he had a very nice fleece with a long staple length and nice crimp. Danny past away in 2012. Pam was one of our original foundation females. A true black with white markings on her face, she was one of our favorites. She was a small female who produced seven, mostly black or bay black offspring. 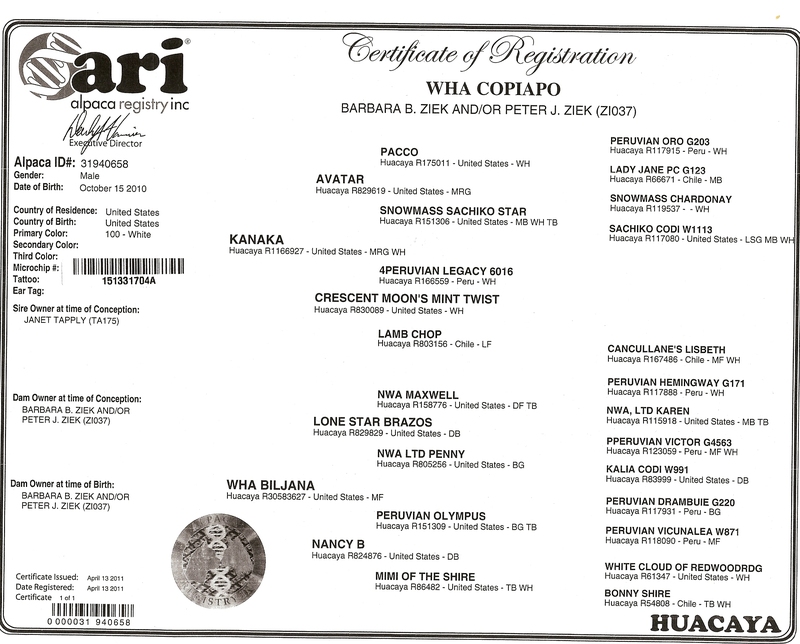 Pam's dam was Mimi of the Shire, a Karrington grandaughter and her sire was Sir Lancelot, a Zorro son. WHA Copper is a medium fawn with a dense but robust fleece that feels very good to the hand due to his low CV (coefficient of variance). 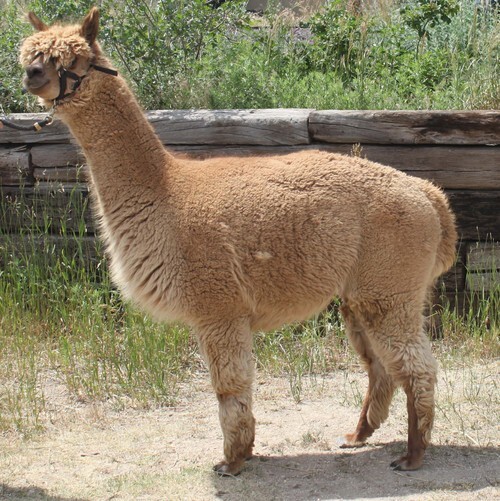 He has a calm temperament, produces a total of around 7 pounds when shorn, so he is a fiber male. He gets along with all the other males.